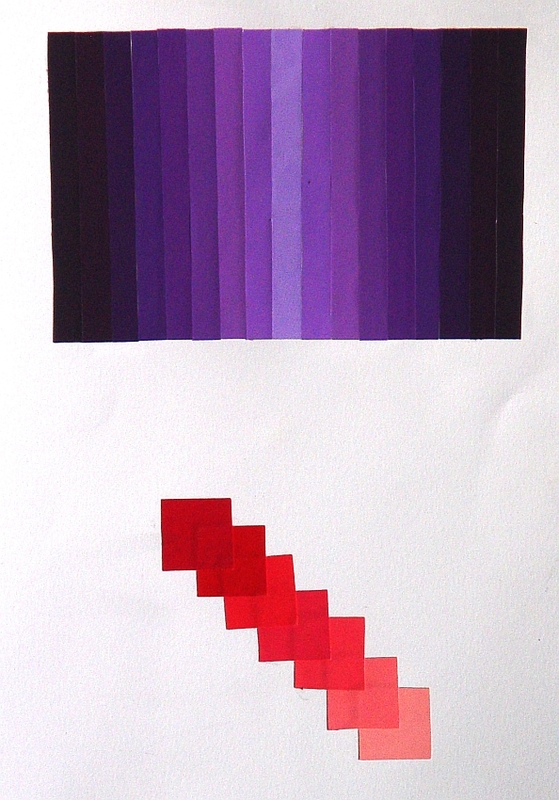 A design for Color Theory, the objective of this one is similar to Hot and Cold. For this assignment, we were asked to pick a color and take several other hues close to the original color. We then were told to arrange them in an order that looked believeable. I decided to use two different arangements, one in a layout similar to a gradient, and the other as a series of layered squares for a semi-3D effect.